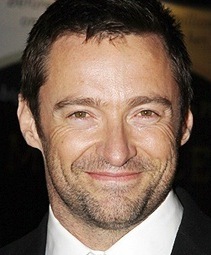 Deadline Hollywood has just posted the "breaking" news that Hugh Jackman has "sealed his return to Broadway for the 2013/2014 season in Houdini." Houdini is written by Aaron Sorkin with music by Stephen Schwartz (wait, what happened to Danny Elfman?). Jack O’Brien has been set to direct the production, which will be presented by producer Scott Sanders and David Rockwell. Deadline reports that "it will bring an original and contemporary feel to the life and death of America’s first superstar." "I have been deeply fascinated by the life of Harry Houdini since I was young, and in many ways I’ve been preparing for this role my whole life," says Jackman. "I am thrilled to be collaborating with this collection of artists who are all at the top of their game." Sorkin describes the play as, "Rather than being a biography, Houdini, told in a contemporary tone, tells the story of an epic battle that took placer between the world’s greatest illusionist and a trio of women, known as 'Spiritualists', who convinced millions of people, including the editors of Scientific American and The New York Times, that they could communicate with the dead." This is great news, but I admit that I'm a little disappointed to hear this is going to be yet another "Houdini vs. Spiritualism" drama and not the story of his life and magic. But I'll still be there opening night! I want to be excited, but given the 'contemporary tone' and subject of spiritualism, I"m a bit apprehensive. Still, it's Houdini on Broadway, so that is good news! One thing I might add though, is if Stephen Schwartz is attached it could be incredible! He did WICKED which is a fantastic musical. Oh, he did Wicked? I LOVED Wicked! I can not wait to see it.